The Spring Show features soloists and small groups performing a variety of musical genres with a 10-piece band. 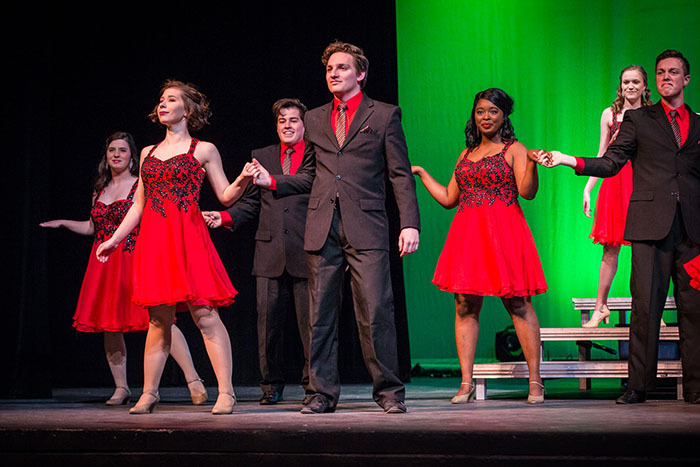 Celebration, the show choir of Northwest Missouri State University, will present its annual Spring Show at 7:30 p.m. Friday, April 26, in the Ron Houston Center for the Performing Arts. 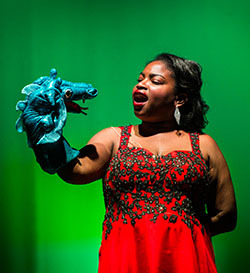 In addition to full company numbers, performers are featured in solos and ensembles spanning a variety of comic songs, poignant songs and songs about love. A 10-piece band accompanies the choir. Admission to the show is free, and it is open to the public. Celebration members represent a variety of majors at Northwest. During the fall semester, they are known as The Madraliers, a chamber choir that presents concerts on and off campus, including the annual Yuletide Feaste.